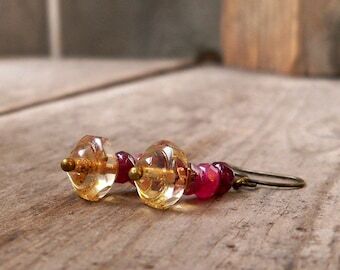 Love these women's bead earrings. 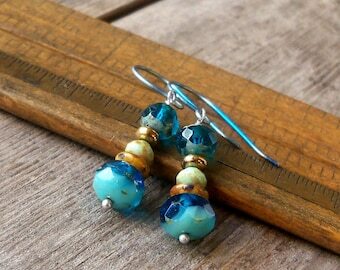 They can be long or short but they are always beautiful blue and aqua. 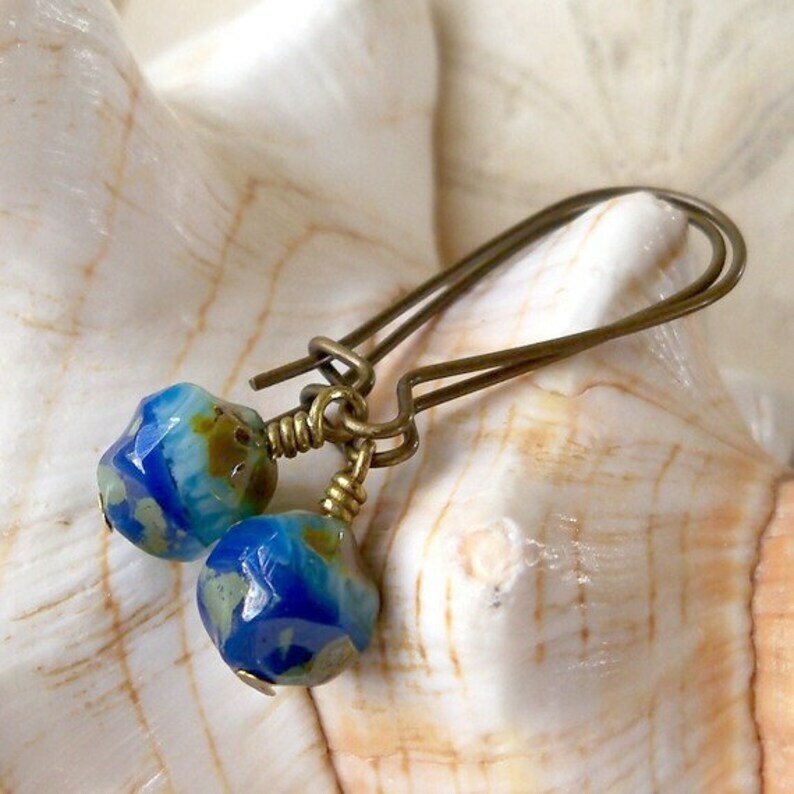 These are 8mm baroque cut lapis blue and aqua opaque glass Czech beads. 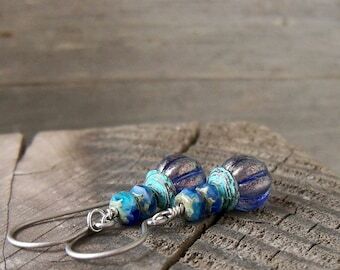 They are such a beautiful bead that I didn't have the heart to put anything else with this pair. They are just stunning as a single bead. 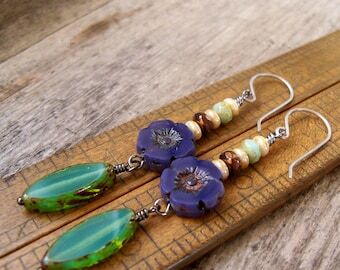 This pair is 1.5" in length. One inch of that is the wire. I am happy to change that out to make them longer, shorter, or a different style. Please just ask. 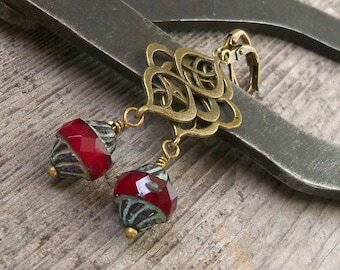 I have added a bronze titanium option for these earrings. 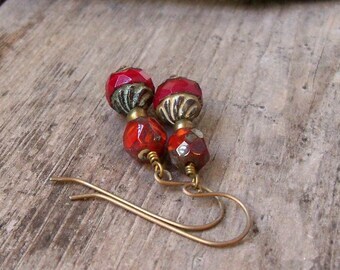 The bronze color will give you the exact same look at the antique brass wire. I am able to make this exact style of ear wire with the titanium. Titanium is nickel free and perfect for even the most sensitive ears. Titanium is a pure metal, not an alloy. This means there is no nickel, lead or copper (or other metals) mixed with it. It is considered allergy free or non-allergenic. I have had several people test this wire for me, many of them could not wear any earrings without having problems with their ears. These earrings did not cause any reaction at all. 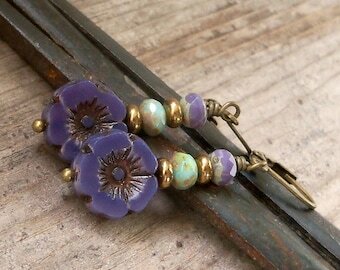 These are gorgeous earrings and extremely well made. Thank you so much!